The investigation into severance payments made out to two former employees of the Agua Special Utility District was closed last month after investigators found no evidence to support criminal charges. At the request of the Hidalgo County Criminal District Attorney’s office, the Texas Rangers began their investigation into Agua SUD in January. But in a letter dated July 13, Assistant District Attorney John Ball notified the Rangers that the DA’s office would not be prosecuting the case based on lack of evidence. Representatives for the Agua Special Utility District did not return multiple requests for comment. District Attorney Ricardo Rodriguez said at some point they had to either file charges or close the investigation and, after months, felt the Texas Rangers had done all they could. The severance payments, which amounted to nearly half a million dollars, were given to two now-former employees, who also serve on the La Joya school board. The two employees, Oscar “Coach” Salinas and Armin Garza, were no longer able to work at Agua SUD as a result of a new law, introduced by state Sen. Juan “Chuy” Hinojosa, D-McAllen, which aimed to curb conflicts of interest by limiting who can be employed at Agua SUD. At that time last year, four of the seven directors on the Agua SUD board were employees of the La Joya school district. 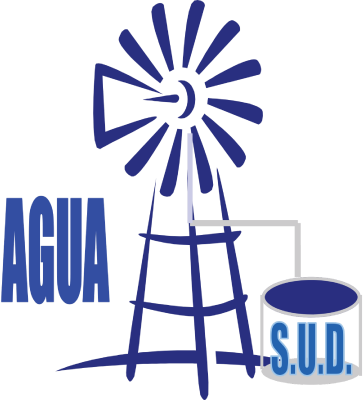 Salinas and Garza, both La Joya ISD board trustees, were employed with Agua SUD as outreach coordinator and utility project manager, respectively. After the bill, SB 814, was passed, the Agua SUD board authorized then-Executive Director Oscar Cancino to resolve any potential disputes with employees who would be affected by the bill. As part of those negotiations, Cancino approved separation agreements in which Salinas received a severance package of $221,000 and Garza received $268,000. While the investigation began with the severance payments, it eventually branched out and began looking into other activity within Agua SUD and the La Joya school district, according to Rodriguez. Investigators reviewed time sheets to determine whether employees weren’t working or weren’t where they were supposed to be, he said, but everything was accounted for. They also looked into whether the school district employees were given raises in exchange for those severance packages. “Nothing was found where there was criminal activity going on,” Rodriguez said of the review of those matters. However, the DA reiterated that their lack of findings was strictly with regard to criminal charges, and they do not endorse or sanction the utility district’s handling of the severances.